In Februari 2010 I went to Zermatt and had a great view on the Matterhorn Glacier from 3883 meters. 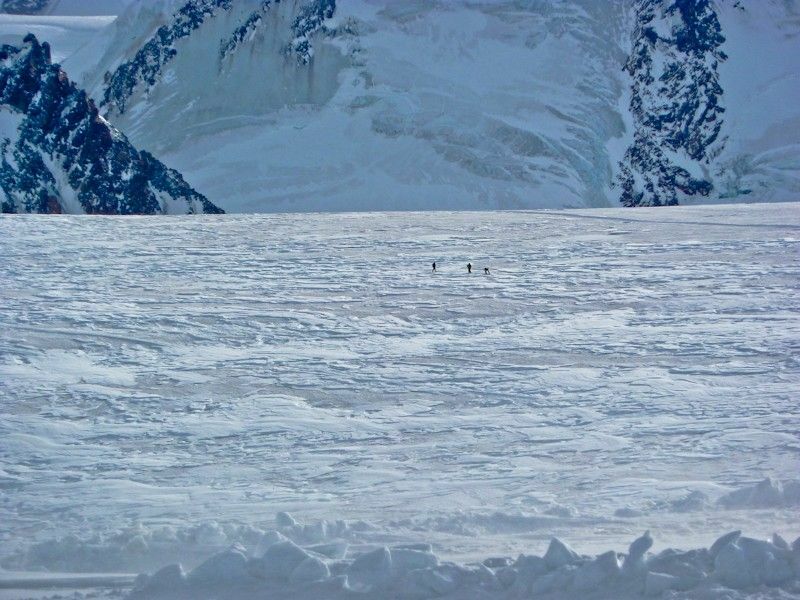 Plus there were these three guys walking on the glacier. This entry was posted in Color, Travel and tagged Matterhorn, Zermatt.